A puppy's growth is divided into 2 phases. This first phase lasts for the first 8 weeks of a puppy's life and is full of exciting developments, new experiences and above all incredibly rapid growth. 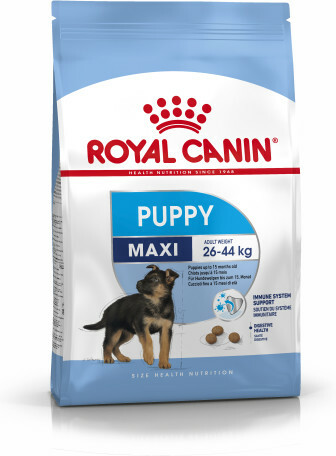 Puppies have very high needs for both energy and nutrients during this initial growth phase. Providing high quality nutrition, right from the first milk, through to weaning and beyond is essential, as the diet must provide everything they need for ideal growth and development, in a palatable and digestible format. During this time, puppies go from being completely dependent on their mother for food, warmth and safety to becoming fully independent and autonomous beings. It takes a lot of energy to grow this rapidly. The puppy may multiply their birthweight by as much as 18 times (depending on breed) in those first 8 weeks. The quality of the diet received initially via the mothers milk but later through the chosen diet will impact not only on the amount of growth but also on its quality. 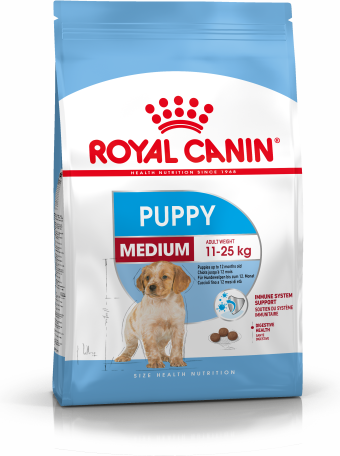 Their diet must provide the right nutritional building blocks to allow the puppy's bones, muscles, coat, brain, heart and everything else to grow and develop to its ideal potential. At birth, your puppy's nervous system is still developing. However, puppies already have a number of intrinsically learned reflexes that enable them to survive, these are known as the “primary reflexes”: the burrowing reflex, the suckling reflex, the perineal reflex and the carrying reflex. Puppies are born without the ability to see or hear and with very limited movement, making them entirely dependent on their mother for their care. They are unable to regulate their own body temperature and must stay close to her for warmth as well as easy access to the vital first milk “colostrum”. It is recommended for puppies to receive their first worming treatment at 2 weeks of age, as it is possible for worms to pass across the placenta and into the puppy before they are even born. Worms are parasites which live in the puppies intestines and can affect how food is digested and how much nutrition can be absorbed. Round worms and tapeworms are the most common worms to affect puppies. Seek your veterinary surgeons advice for the best product to use and always follow the instructions carefully. Don’t be tempted by non-veterinary products. Although cheaper, they are not nearly as effective. Remember to treat your puppy regularly even as an adult. Around this time the puppies ears and eyes open and full vision and hearing develop. The puppies limbs are getting stronger so they can now support their own bodyweight. They will be learning how to co-ordinate those limbs and be able to move around the pen, albeit a little wobbly. They will even be learning how to sit. Some of the primary reflexes such as the desire to burrow into the mothers warmth start to decline as the puppy will be getting better at regulating its own body temperature. Milk teeth are starting to appear - canines first shortly followed by the incisors. The puppies may be starting to show an interest in mum's food. As the teeth start to appear, the mother becomes less keen to allow the puppies to suckle. Their rate of growth is at its most intense and the need for more energy and nutrition, along with the mother's behaviour, signals the start of the weaning process. 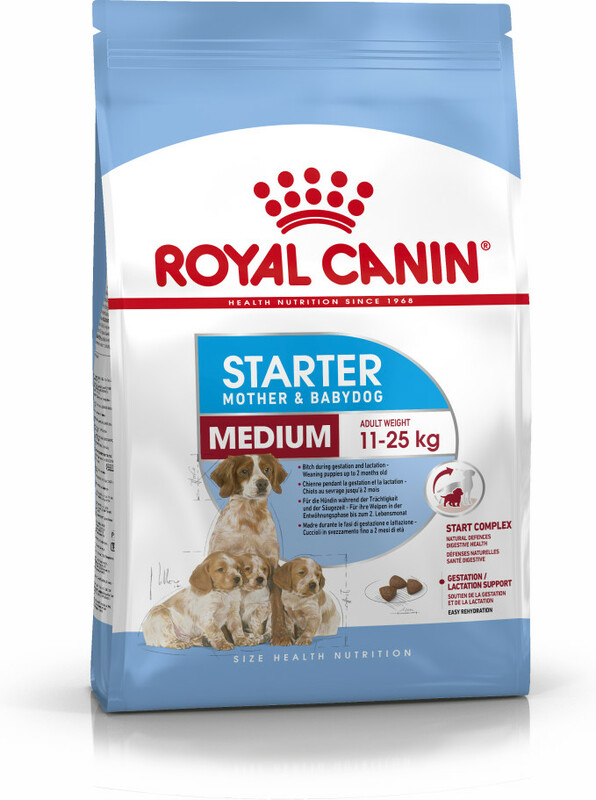 The puppies may start to show an interest in the mothers food and it is time to start offering them a suitable weaning diet such as ROYAL CANIN® Starter Mousse, even though for the first few days they will end up walking through it and wearing more of it than they actually eat! From birth, puppies rely on the colostrum produced by their mother to provide antibodies to kick start their immune system. However from between the 4th and 12th week of life, the support that was provided by the colostrum decreases. The puppy's own self-defence system is not yet fully developed and they enter the so-called “critical period” sometimes called the “immunity gap” where they are particularly vulnerable. This also coincides with many key development stages for the puppy such as learning about their environment, socialisation and even potentially moving to an entirely new home. Therefore, the more we can do to support their immune system the better. This is why at ROYAL CANIN® we include specific nutrients in puppy food, such as antioxidants to support their natural defences. At about five weeks old, your puppy will be learning not just physical coordination and strength but also social skills by playing with their fellow pups. The puppies will be learning how to recognize their siblings and mother, and they’ll be ready for consistent human interaction too. However it is essential that any interaction with humans (especially children) are kept to short, calm and positive experiences. It is not until they reach 6-7 weeks that they will start to learn one of the most important aspects of social development, discipline, via their mother. It is essential that any interactions with humans at this point are entirely positive. Weaning should now be well under way with the puppies eating around 5 small meals a day of a suitable soft weaning diet and reducing the amount of time they spending suckling from their mother. It doesnt take long for puppies to get the hang of lapping a suitably soft diet such as ROYAL CANIN® Starter Mousse or ROYAL CANIN® Starter Mother and Babydog kibbles which should be soaked into a porridge like consistency for weaning. As the next couple of weeks go by it is important to keep a close watch on your puppies and weigh them regularly to ensure they are gaining weight. If they are eating well and gaining weight as they should, over time it's important to start encouraging them to transition from lapping to eating by altering the texture of the food on offer. Your puppy's first visit to the vets will be a milestone and this experience will help to shape their future expectations and behaviours so it is essential to get it right. This visit will check your puppies weight and growth, as well as general health. The vet will also microchip them if this has not already been done. Remember all puppies must be microchipped by 8 weeks of age by law in the UK and it is the owner's responsibility to keep the contact details registered to the microchip up to date. Take this opportunity to also discuss preventative health care such as flea and worming treatments, vaccinations and neutering and if you haven't already done so insurance. By week 7 the weaning process should be complete, they should be eating 3-4 meals per day and no longer be suckling from their mother. For many puppies they are now confidently eating their weaning diet without the need for it to be soaked into a porridge consistency, however some smaller breeds do take a little longer to adapt and so benefit from having their kibble softened slightly for a few more weeks. Over the course of the next week they should gradually change from their weaning diet onto a food suitable for the second stage of growth ROYAL CANIN® Puppy. By now the puppies should be well grown, active and inquisitive, ready to consider taking the next big step in their story. The second stage of growth is one of consolidation. The body continues to grow and develop, requiring high levels of quality protein, minerals and vitamins in comparison to an adult dog. Depending on your puppies size and breed, the length and speed of growth will vary so make sure you are feeding accordingly. The length and speed of growth depends on a puppy's size and breed and it is very important to feed an appropriate size based growth diet to meet these different requirements. Small breeds will grow rapidly reaching adulthood at around 8-10 months but for large and giant breeds a slow steady growth is essential to the development of their skeleton and they may not reach adulthood until 2 years of age! Throughout growth the digestive and immune systems are still immature and benefit from a diet which includes highly digestible proteins, prebiotics and antioxidants. The frequency of meals can be reduced but feeding twice a day is recommended even for adult dogs to help support a healthy digestive system. As adulthood approaches the rate of growth starts to slow and it is important to follow feeding recommendations carefully, checking the feeding amount each month and weighing out the food at each meal to prevent excess weight gain. The frequency of meals can be reduced to twice daily from 6 months and this should continue throughout life. Vaccination is an important step towards supporting your puppy's health. There are several infectious diseases that can affect dogs in the UK, and for many a vaccination is available. Canine Distemper, Parainfluenza, Leptospirosis and Canine Parvovirus are the diseases most commonly vaccinated against, as they can be serious, even fatal to puppies. First vaccinations commonly take place at 8-9 weeks with the second vaccination occurring 2-4 weeks later, but check with your veterinary surgeon regarding their specific vaccination schedule. It is not until after the second vaccination that immunity is secured and your puppy is protected. It's also essential to remember that your puppy will need regular booster vaccinations throughout their life. On the day of collecting your puppy, your new family member will be just a car ride away and excitement levels will be high. But before jumping in the car at the earliest possible opportunity, make sure that you’re prepped and ready to approach this exciting occasion in the right way. Remember, the first few days will be an adjustment period for you as well as your puppy so it’s important to do things properly and get off to the best start possible. Make sure that you have prepared the house and garden for your new arrival. It needs to be a safe as well as a pleasant environment. Think about who is going with you. When you are making the journey, it might be exciting for everyone to be involved. However, that could be overwhelming for the puppy on what is going to be a new and potentially scary experience for them. Make sure you are prepared for the journey, that you have a safe and secure carrier, as well as plenty of bedding including spares - especially if it is a long journey, as accidents do happen and it is not uncommon for puppies to be travel sick. Be prepared to make regular stops. The second part of your puppy's initial vaccinations will signal that they can now start to venture out and about and learn about the wider world and their role in it, helping them to become confident, sociable and well behaved memebers of the family. Don’t forget that your puppy will need regular booster vaccinations throughout their life to keep them protected. At twelve weeks old, your puppy’s personality will be well on the way to being fully developed, and the critical socialisation and habituation period will be over. However, puppies’ experiences during the first year of life are vitally important in shaping their personality, so try to ensure you expose your puppy to good experiences only and try to avoid situations which may cause your puppy to become fearful. Your puppy will have learnt the basics from its mum and littermates – but now the second part of your puppy’s initial vaccinations are done they can venture out and you can carry on the good work. House training and learning basic comands such as sit and stay as well as walk on the lead will all need to be taught, for more advice and information - read our article read our article to find out more. Making your puppy's first walk a positive experience is important - read our article to find out more. From around 4 months, your puppy will start teething as the milk teeth are being replaced by the permanent adult teeth. They will soon learn that chewing will help to relieve pressure and pain so be prepared to offer them plenty of suitable toys and to steer them away from unsuitable items. Your puppy's digestive system is approaching maturity, but this is not a reason to suddenly start feeding more treats or titbits. Dogs view their food quite differently to us, their priorities are that it smells good and meets their nutritional needs, what it looks like is irrelevant and they don't have our desire for variety. At this stage there is no need to change the diet, as there is still lots of growing and developing to do in other areas. It's essential that your puppy remains on a diet tailored for growth. It is however, worth checking that you are still correctly following the feeding guide and measuring out the correct amount of food. By now your puppy should only need 2 meals a day. Many Veterinary surgeries offer a check up for adolescent dogs and it is a good idea to take them along for a health check, you will be able to weigh them and discuss preventative health care such as worming and flea treatment options. There are many different types of worms, although round worms and tapeworms are the most common. These are parasites which live in the intestines and affect the digestion and absorption of nutrients. There are species which can affect your puppies heart and lungs. Seek your veterinary surgeons advice for the best product to use and always follow the instructions carefully. Remember to treat your puppy regularly, every 3-6 months is usually recommended. From six months, your pup will be in the final stage of growth and development. During this period, they will be full of energy and learning tremendously. It is important to remember that even if your puppy is beginning to have the appearance of an adult dog, they are still a puppy. Teething can cause some fussy feeding behaviours, and lasts until around 7 months of age, by which point the final molars should have fully arrived. Don't be tempted to change your puppy onto an adult diet just yet, even small breeds are still growing and developing. 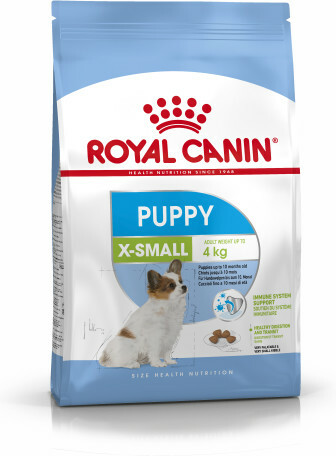 It's worth checking that you are still following the feeding guide and measuring out the correct amount of food for your puppy, as depending on its breed, its daily food intake might be starting to decrease as growth slows down. The eruption of larger teeth can cause some fussy feeding behaviours, causing confused owners to make unnecessary changes to their dog's diet. The best course of action is to keep the diet as consistent as possible during growth as this fussy phase won't last long. Neutering is a surgical proceedure which prevents reproduction. It is important to speak to your Vet as they will be able to give you all the information you need including when to neuter your puppy and the cost. Although there are lots of positives associated with neutering, it can have an affect on your dog's appetite and energy needs which if not addressed, can lead to weight gain. That is why after neutering it is recommended to feed an adapted diet, with an adapted level of calories. 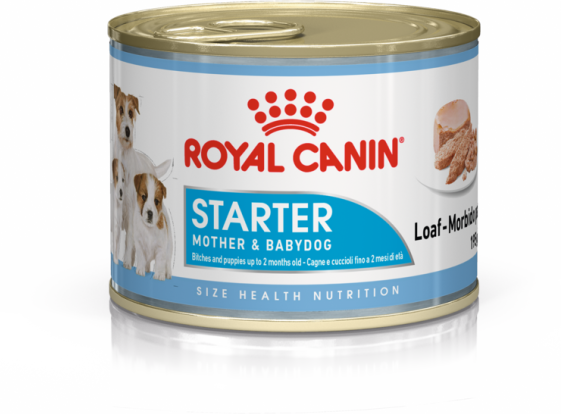 This can be a challenge if your puppy is not yet an adult and therefore also still requires specific nutrition to support their growth. Adulthood arrives between 8 months for the very smallest breed to 2 years for the very biggest, and should be a time of maintenance with minimal needs. However, there is such diversity within the canine species that complete adult food is no longer a simple one size fits all option. Doing the best for your dog means taking into consideration their size, breed and neutered status. No one likes to think about ageing, especially not for our pets, but early anticipation and taking action can help to support our pets through a healthy ageing process. At around half way through our dogs expected lifespan we should start considering them as mature, even if they are still bouncing around like a puppy! Subtle changes are starting to happen often without us noticing and it is important that we adapt their diet to support these changes, helping to keep them fit and active for as long as possible. It is important to remember that your dog's size and breed will have a great impact on their life expectancy and therefore, when you should be considering these changes. Smaller breeds generally have a long life expectancy and so are considered mature at around 8 years of age, for medium breeds it is a little earlier at 7 years, but for large breeds the very first signs of aging can appear much earlier and it is recommended to take action from 5 years of age. From around halfway through your dog's life expectancy, you should start thinking about additional care, even if there are no visible signs of ageing. The senior stage of ageing is much more visible with noticeable, physical changes as well as alterations in activity and behaviour. Generally this life-stage starts from around two thirds of the way through the dog's lifespan and it is now that we need to take particular care of our dogs. Additional health checks by your Vet or Vet Nurse might be beneficial. Many veterinary surgeries run specific ageing clinics to support the health of older pets. When it comes to diet it is very important to feed a diet specifically adapted to your dog's age as even in the fittest of seniors the kidneys, heart and joints will all benefit from some nutritional support. 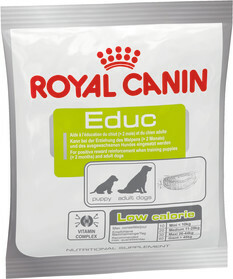 Enhanced palatability is important as dogs can experience a decline in senses with age. This can affect their sense of smell, so it's important their food has a tempting aroma. In small breeds we recommend changing diets at 12 years of age and for larger breeds at 8 years. Time to take extra care and provide support for healthy ageing.